Anthropogenic climate change represents one of the biggest challenges facing our society at the moment. This research is assessing the impacts changes to our climate will have upon the landscape, specifically a series of incised coastal gullies on the Isle of Wight, UK, known locally as Chines. What: Incised coastal gullies are formed when streams flowing over coastal cliffs have enough power to erode the material comprising the cliff. If the stream does not have enough power to erode the cliff fully, coastal waterfalls are created. If the stream can erode down to sea level, then incised channels are formed. 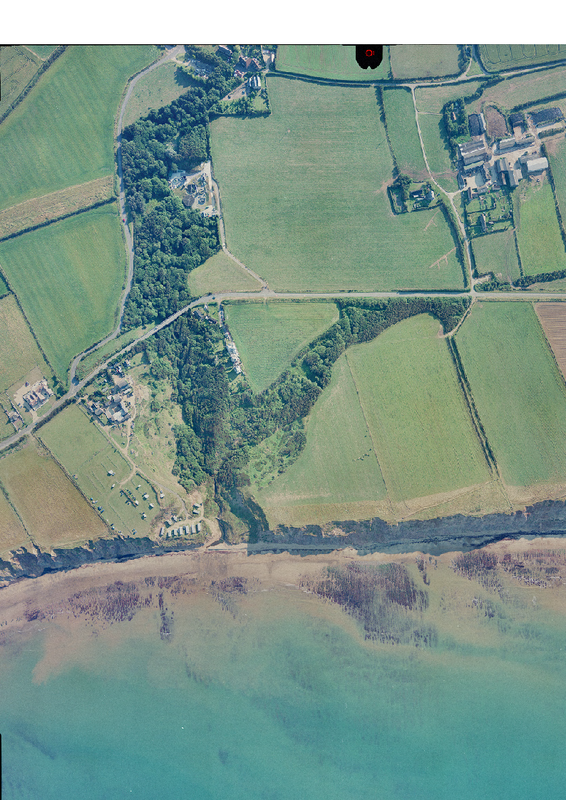 Where: Although incised coastal gullies will form anywhere there is a stream or river powerful enough to incised through coastal cliffs, this study is specifically looking at those found on the south west coast of the Isle of Wight, known locally as ‘Chines’. Other locations with significant incised coastal gullies include New Zealand, Hawaii and Lake Huron, Canada. When: This study is looking at the possible effects of human-induced climate change. As such the time scales of this study are approximately the next 100 years. Why: Incised coastal gullies are highly dynamic landscape features. They are highly sensitive to perturbations in climate, and as such provide a unique opportunity to study the impacts of climate change upon the landscape. By their very nature they form in coastal locations, locations which are often highly populated and a great natural resource for society. More specifically, the Chines of the Isle of Wight provide a unique and internationally recognised habitat for many endangered species of invertebrate. As such, understanding how these features may evolve under a changing climate is important if these habitats are to be managed effectively. How: This study employs a mixture of observational, data mining techniques to record and quantify recent rates of cliff retreat along the south west Isle of Wight. A process based model of coastal erosion will then be coupled to an exiting Landscape Evolution Model (LEM), a computational model which simulated erosional and depositional process upon a landscape. This coupled LEM will represent the first coupled coastal-terrestrial LEM capable of modelling the combined processes of cliff retreat, fluvial and hillslope erosion. It will then be employed to model projected changes in climate upon the landscape of the south west Isle of Wight. To see the Wordle of my PhD thesis click the image below.